You might not think of Namibia as a place to go wine tasting, but you’ll find that the country has quite a collection of pristine wineries and bars serving up delicious vino. Whether it’s in the heart of its busiest city, Windhoek, or a vineyard nestled among sand dunes in the desert, you’ll find wine tasting places in many parts of the country. Get ready to put your taste buds to the test. Here are the top places to go wine tasting on your next trip to Namibia. Out in the middle of the Namibian desert is a mind-blowing marvel. Neuras is a winery that defied the odds of its harsh environment by having a vineyard thriving in the desert by the Naukluft Mountains. So how do the winemakers of Neuras do it? They claim the west wind blowing in from the Atlantic Ocean actually cools down the area, making it much easier to grow the grapes. Nearby is a spring that has been the lifeblood of keeping the farm going. Because of the estate’s location, wine lovers go for hikes in or after wine tasting to admire the flora and fauna of the land. You can also find wildlife in the area including cheetahs, antelopes, herons and more. Extend your stay by booking a room overnight at the estate and enjoy multiple days of wine drinking in the Namib Desert. In Omaruru, there is heaven on earth for wine lovers in the midst of the green countryside. Kristall Kellerei is located on picturesque land surrounded by vineyards, gardens and tangled trees, giving wine drinkers an idyllic escape during their tasting. During the tour, wine lovers will be taken for a 30 minute walk through the vineyard, prickly pear patch and the Distillery before tasting a few bottles of vino. Come during lunch time and order the Vesper Plate that consists of Namibian venison, cheeses and bread to marry perfectly with the wine of your choice. Fine spirits are also made on the premises, so guests are welcomed to taste various brandy as well. 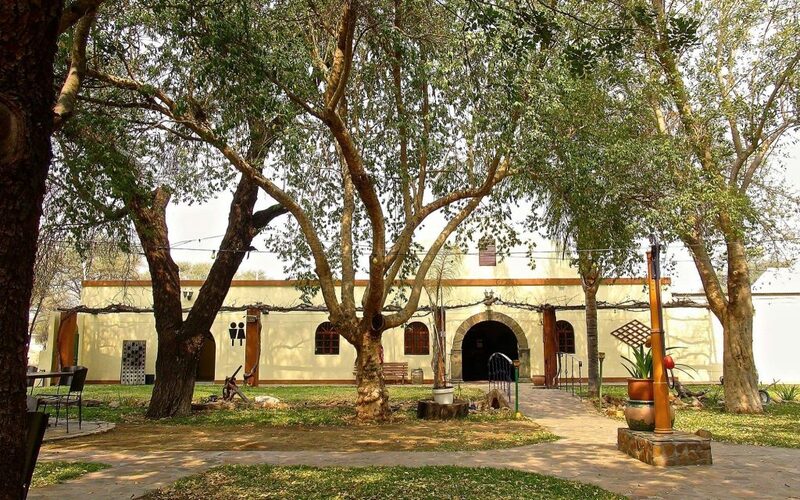 Situated along the Omaruru river and nestled at the foothills of a mountain range, Erongo Mountain Winery gives guests gorgeous views for wine drinkers during their visit. Guests can enjoy a personal tour around the vicinity before joining the wine tasting room to sample various flavors. During the tour, patrons will learn the different technique of distillery that Namibians use to make their drinks. For an unusual drink that’s unique to Namibia, order the Devil’s Claw, an alcoholic drink made with herbs that is 100% harvested by Bushmen people. It says the drink is an elixir to aid stomach problems. All of their wines have their own signature names to honor the country such as Etosha Blend, Namibian Kiss, and Ohamba. In the heart of Windhoek, this wine bar is a hit among tourists and locals to sample top-of-the-line drinks. 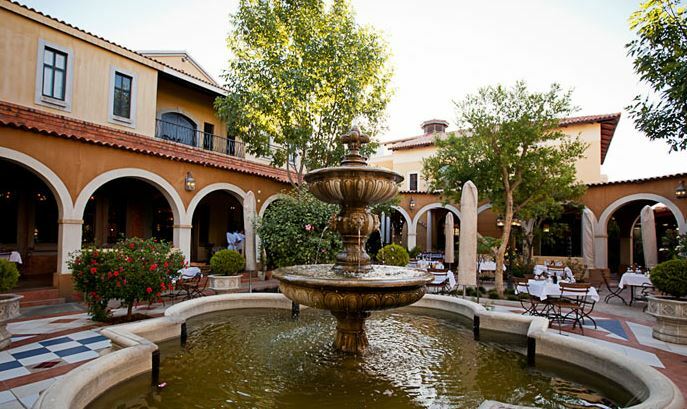 The Stellenbosch Wine Bar & Bistro is held in a villa-like building with a spacious outdoor patio, upscale white tablecloth settings, and walls lined with high-end wine. If the name hasn’t given it away, you’ll find only South African wines that were imported from the Western Cape here. Even though you’re here for the huge wine menu, you’ll also want to come hungry and order delicious meals like slow cooked oxtail, smoked chicken strips, and sirloin steaks. Professional wine sommeliers will assist you in picking out the right wine to pair with your meal and tell you all about the history and process that goes into making the wine. Treat yourself with a delicious glass of wine at The Wine Bar & Wine Shop. There, the wine menu is personally selected, using only the finest wine from South Africa and France. The wine bar doubles as a high end restaurant where diners can order tasty delights like Beef Fillet, Moroccan Spiced Lamb Shanks, and Windmill Pasta. Once you’ve finished your meal and drink, head down to its shop to take home a bottle or two from its impressive collection.